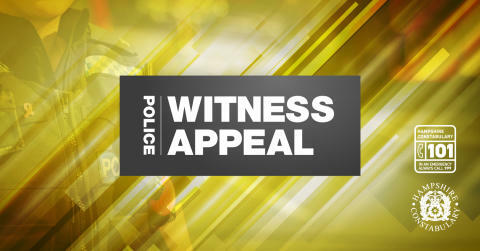 We are appealing for witnesses or dash cam footage following a road traffic collision between a white Ford Fiesta and a pedestrian which resulted in the death of a 26 year old woman. The incident occurred at around 1.40am on Saturday, January 5 in The Avenue, Southampton. The Ford Fiesta was being driven by a man in his twenties. The pedestrian was pronounced dead at the scene. We would like to talk to anyone who saw what happened or has dash cam footage. We would also appeal to anyone who may have seen the woman immediately prior to the collision in The Avenue. If you can help, please call 101, quoting reference 44190005121.